Having recently moved down South I've been keen to find out what's hot in the local foodie scene. I've since found Crystal Palace Food Market, which is as wonderful as it sounds. It's been going for a few years now, and I can see why: the produce available is superb. From the gluten free/yeast free/dairy free range from Elvira's Secret Pantry, strawberry tart fresh pasta, specialty breads and savoury tarts. Elvira also offers cookery courses starting from £10 a class. I tried a small sample of her gluten free tomato tart - it was fantastic, and full of subtle flavours that made the tomatoes sing. There's also Partchwork Farm. 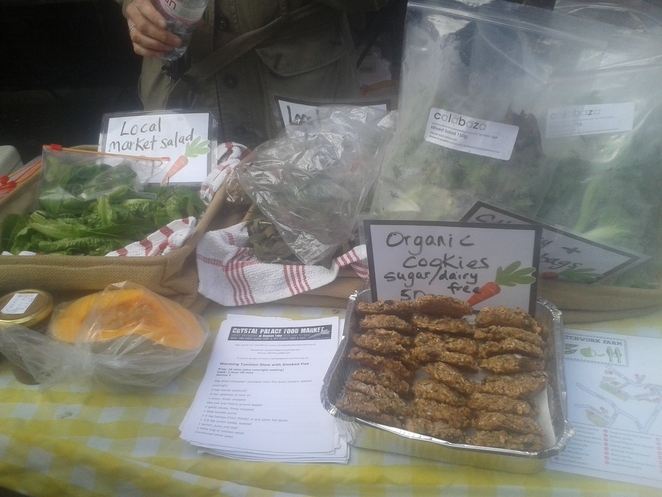 Everything on sale is locally grown produce, from their stir fry mix to salads and sweetcorn seedlings for sale. They also sell freshly-made jams and chutneys. If food isn't taking your fancy, how about a face paint from Aunties Jacqueline and Rose? When I arrived they were playing vintage music to get you in the farmers market mood (and selling sugar, dairy, gluten-free cookies). 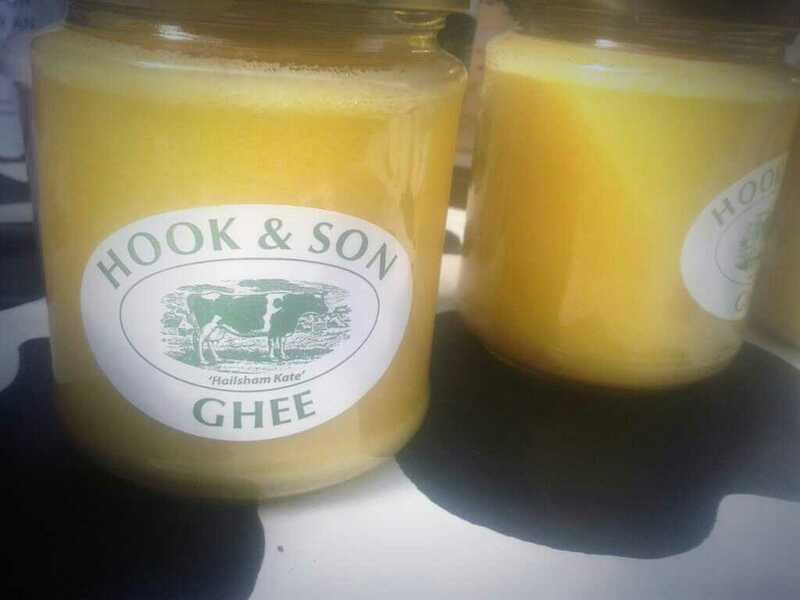 One of the main reasons for my visit however, was Hook & Son. I've always been averse to cows milk because I have always had a severe intolerance. Since finding out about my intolerance I've been trying different milks and it seems Jersey milk is palatable in small doses, but it does still affect me sometimes. Jersey milk is unhomogenised, but homogenisation is where the milk is heated to a high temperate to separate the fat cell evenly throughout the milk, which can be small enough molecules which pass into the blood stream. In a bid to try out milk in a more natural state, I found Hook & Son who sell raw dairy products. This excites me no end, and I couldn't have been happier when I spotted their stall at the market, albeit being a tad sweaty. Their milk is unpasteurised, which means it hasn't been injected with false hormones or nasties that kill the natural live bacteria in milk. 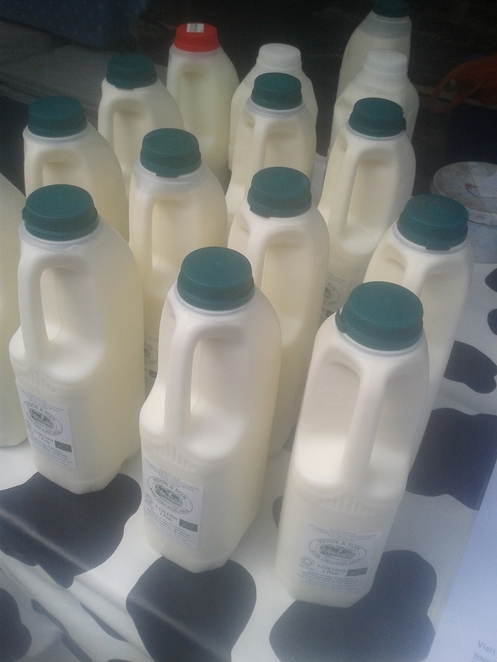 Raw milk is a living food with a real, albeit delicate, flavour. I bought a two pint bottle of milk for £2.50 from the friendly stall holder, and went on my way. Now there's Grain Grocer refills. I am all about refilling jars, reusing, recycling and ending our use of plastic bags. 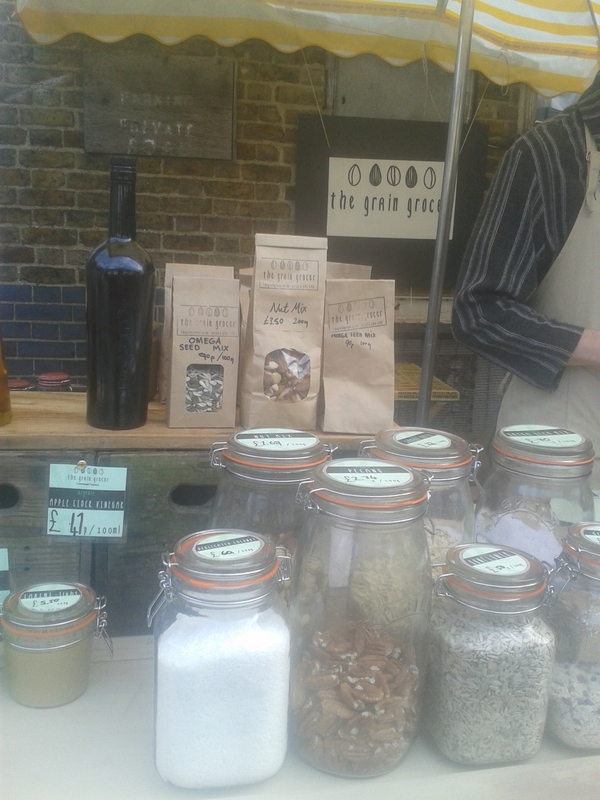 Ending waste, Grain Grocer are pioneers of the zero waste movement as well as providing the customer with tasty food. 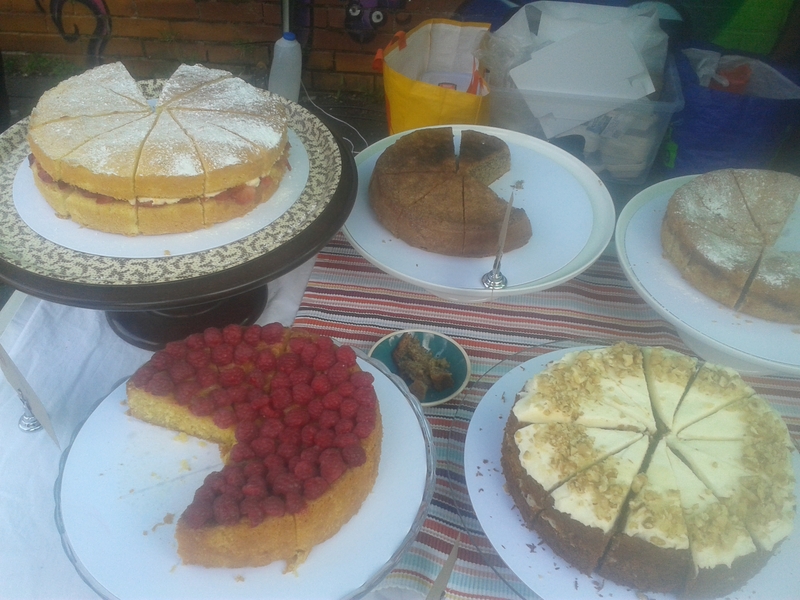 Note, I jogged from Beckenham High Street to the farmers market on Hayes Lane in precisely 40 minutes. It would take no more than about eight minutes (from Beckenham) in the car, and about 15 via bus. The market has a real sense of community spirit. 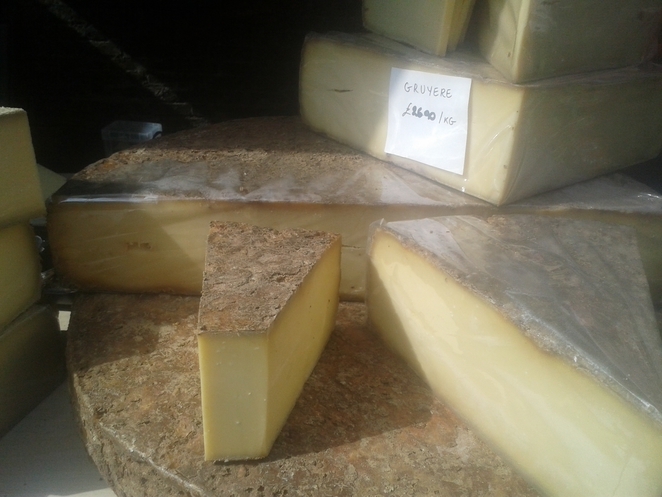 I was guided by one of the aunts to the Hook & Son stall and the lovely cheesemonger, Toby of London Cheesemonger, was giving out slices of gruyere. It was truly wonderful. The market runs every Saturday from 10am 'til 3pm. Get there early for the best pick of the market.